The idea of the IVC was conceived in May 1946 in the 'Scotch House Tea Rooms' in Cambridge by Michael Wolff and Reggie Simeone, both undergraduates at St John's College, Cambridge. The first club was set up in winter 46/47. It was originally set up for students during the vacations who wanted to continue the sort of social life they enjoyed during term time. The first programme under the auspices of the Inter-Varsity Vacation Club proper consisted of three dances which took place in the Easter Vacation of 1947 in Chelsea Town Hall. The first was on Friday 28th March, the night before the Boat Race, and was a sensational success. There were about six hundred people there and it was a lively evening. People remember Oxford competing against Cambridge in attempts to swing the longest distance on the chandeliers. IVC was well and truly launched! Today there are now over 40 clubs around the country. For more details of the history see the AIVC web site. 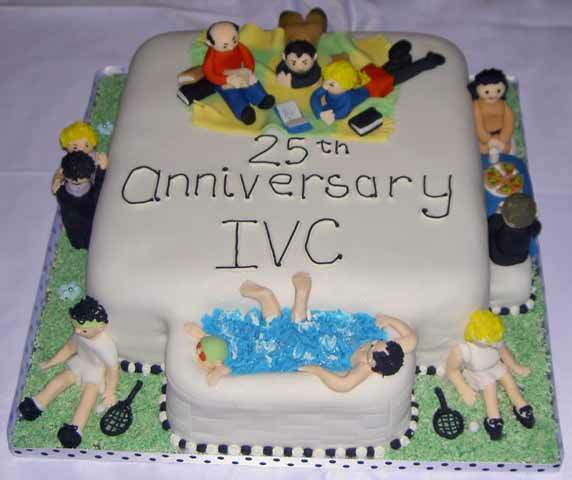 Swindon IVC was founded on 1st October 1980 by Barbara Wellicome a member of the Cheltenham IVC who moved to Swindon in 1979. After a number of adverts placed in the local paper a group of 10 interested people met at the 'Kings Arms.' From this group a committee was set up and Swindon IVC was established. In the early days club nights were often held at 'The Crest' and 'The First Class Carriage', the club continued to advertise and more people became interested. Today Swindon IVC has over 50 members and Barbara, although not a committee member, is the Honorary President and the club continues to thrive!